Calling all Regals Jr. B Alumni! 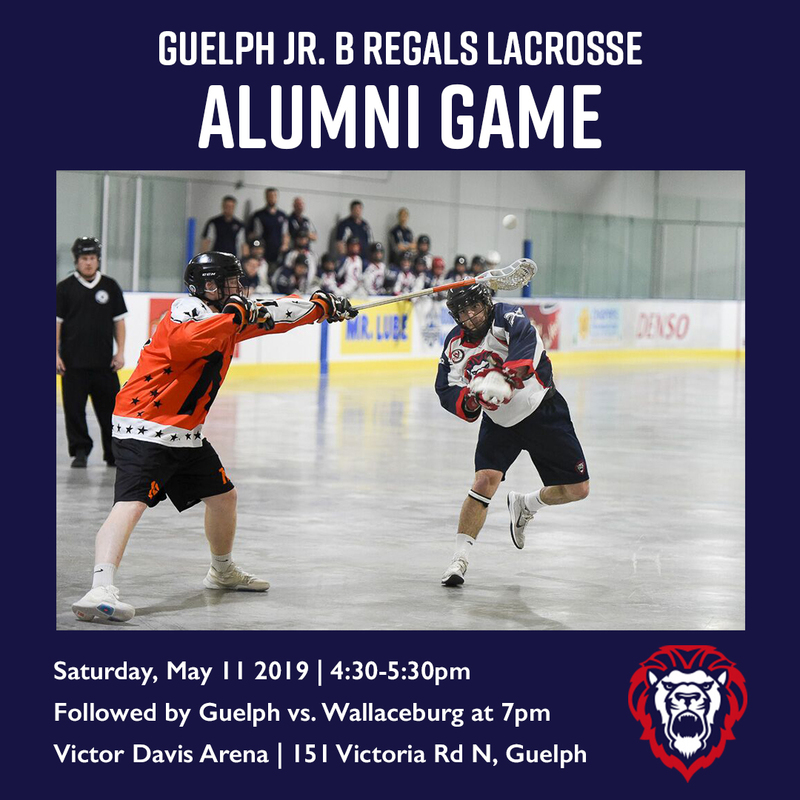 The Guelph Jr. B Regals Lacrosse Club is holding its 2019 Alumni Game on Saturday, May 11 at 4:30 PM. All Regals Alumni are invited to play in the game and support the Jr. B team afterward as they host Wallaceburg. For $10, you will get a spot in the Alumni Game, a memorable Alumni t-shirt and admission to that night’s Jr. B game. Of course, all other charitable donations in support of your Jr. B Regals are welcome! The alumni game will only be helmets and gloves. Please let us know if you will be in attendance by clicking “Going” or “Not Going” on the Event’s Facebook Page so we can get a headcount! Also, please don’t hesitate in reaching out to former Alumni by sharing this event with them. The Guelph Jr. B Regals are excited to announce the rest of its coaching staff for the 2019 season. Joining the club are Dilan Graham, Peter Pavlinich, and Craig Wende. Graham takes over as the team’s Defensive Coordinator while Pavlinich will be in charge of the Offence. Both will assist Head Coach Al Burton on the bench for the upcoming season while Wende will help the Regals goaltenders throughout the season as a goaltending consultant. Graham joins Guelph with many years of playing experience. 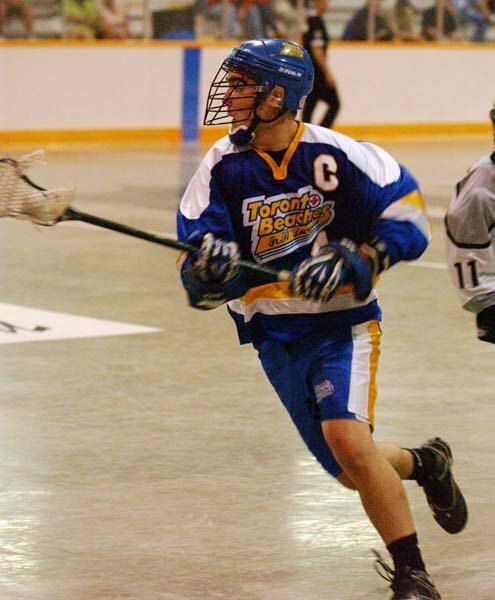 Before being drafted 37th overall by the Boston Blazers in the 2008 NLL Entry Draft, Graham played 4 years of Junior A for the Toronto Beaches, where he served as team captain in his final season. He went on to play Major in the summer for 6 seasons with the Brooklin Redmen and Ajax-Pickering/Oakville Rock, captaining the team its final season in Ajax before relocating to Oakville, as well as playing stints in CLax and the NLL. Graham also played 4 years of NCAA D1 Lacrosse at Bellarmine University and won a CUFLA Championship with Brock University. 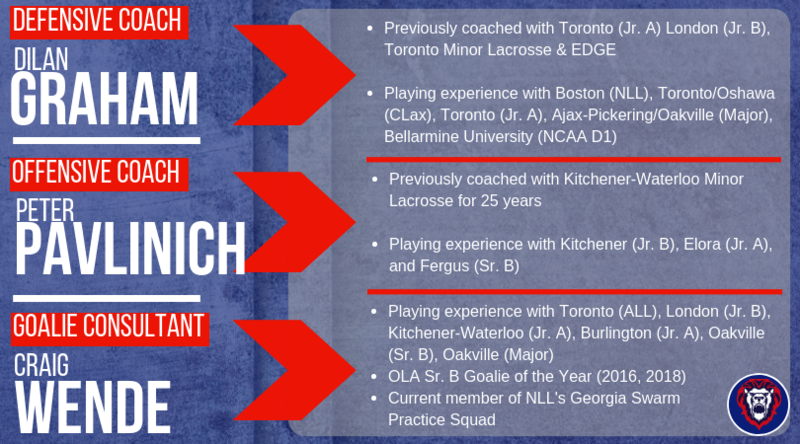 Since exiting the game as a player, Graham has focused his attention on coaching where he was an assistant with Toronto (Junior A), London (Junior B), Toronto Minor Lacrosse and the EDGE Field Lacrosse program. Pavlinich comes to the Regals with decades of lacrosse experience under his belt. Beginning at the age of 5, Pavlinich played Minor Lacrosse in Kitchener before graduating to play 2 years of Junior B in Kitchener and 3 years of Junior A in Elora. After his junior career ended he played Senior with the Fergus Thistles, where he was a member of a pair of teams that won the Presidents’ Cup. Pavlinich began coaching Minor Lacrosse once his playing career ended and has been doing so for nearly 25 years. Wende will help coach the team’s goaltenders during Training Camp as well as at practices throughout the season. Wende, who is currently a goalie on the Georgia Swarm (NLL) practice roster, has more than 20 years of playing experience across all levels. He recently won the Ontario Sr. B Lacrosse League’s Goaltender of the Year Award in addition to being named to an All-Star team at the 2018 Presidents’ Cup Tournament in Nanaimo, B.C. 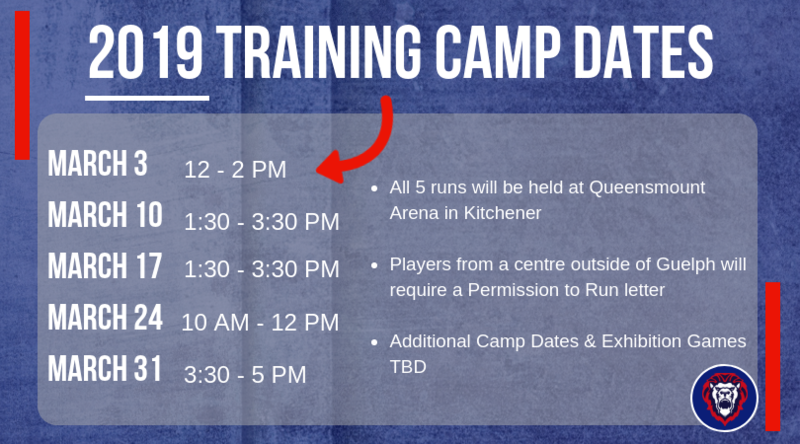 The Regals open the 2019 season on Thursday, April 25 when the defending Founders Cup Champion Elora Mohawks visit the Royal City. Game time is slated for 8:00 PM at Victoria Road Arena. The Guelph Jr. B Regals Lacrosse Club announced on Wednesday that Al Burton will be taking over the team’s Head Coaching duties for the 2019 season. Burton will take over behind the bench after previous head coach Ken Hastie and the club mutually agreed to part ways at the conclusion of the season. The organization would like to thank Ken for his dedication over the past 1.5 seasons and wish him the best moving forward. 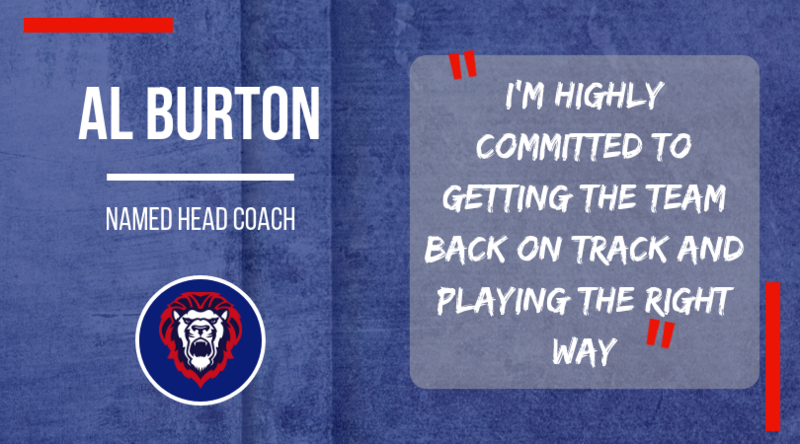 Burton takes the reigns with over 35 years of coaching experience across all levels of lacrosse. His coaching journey has seen him behind the bench at Major, Sr. B, Jr. B, and Jr. A. 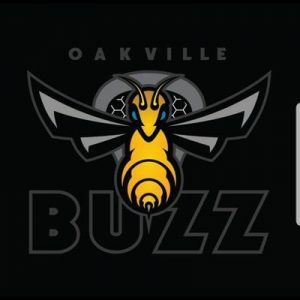 He was most recently the head coach of the Oakville Buzz Jr. B team in 2016 and 2017 before stepping down for work commitments in 2018. Burton works in Guelph and could not make the full commitment back to Oakville for the 2018 season; however, Burton is now fully committed to the Regals. “I’m highly committed to getting the team back on track and playing the right way,” Burton said. 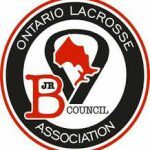 In his 2 seasons with Oakville, Burton compiled a 26-13-1 regular season record before falling in the East Finals in 2016 and East Semi-Finals in 2017 – both in the 5th and deciding game – to the eventual Conference Champion Green Gaels. The organization was sold on Al in their first meeting. The club is currently rounding out its coaching staff. The 2019 regular season schedule will be released in January along with Training Camp details.